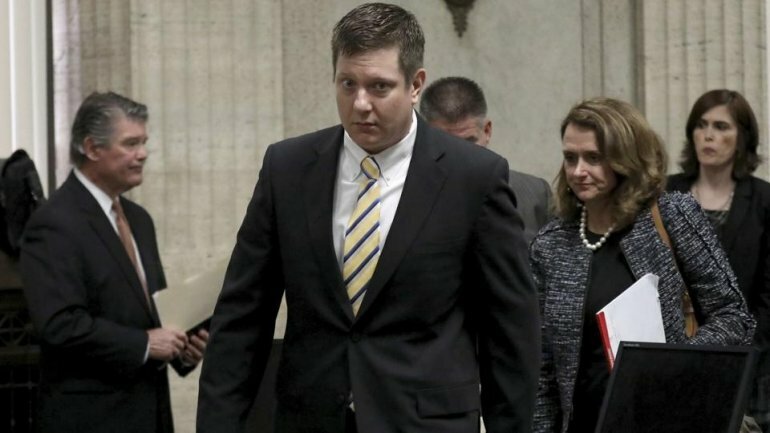 Three current or former Chicago police officers were indicted Tuesday on state felony charges of conspiracy in the investigation of the 2014 shooting death of Laquan McDonald, CNN reports. Former Detective David March, and former Patrol Officer Joseph Walsh and Patrol Officer Thomas Gaffney were charged with conspiracy, official misconduct and obstruction of justice, according to a news release from Special Prosecutor Patricia Brown Holmes' office. McDonald, 17, was killed in October 2014 when Chicago police officer Jason Van Dyke shot him 16 times. Van Dyke has pleaded not guilty to six counts of first-degree murder and 16 counts of aggravated battery with a firearm, with the latter charges apparently corresponding to each shot he fired at McDonald.